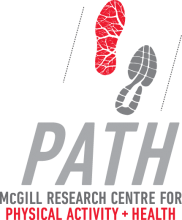 The McGill Research Centre for Physical Activity and Health (PATH) is committed to a research program that focuses on three overarching clinical aspects of the population under study. These research axes are listed on the left; their respective members and websites for their associated laboratories can be found here. 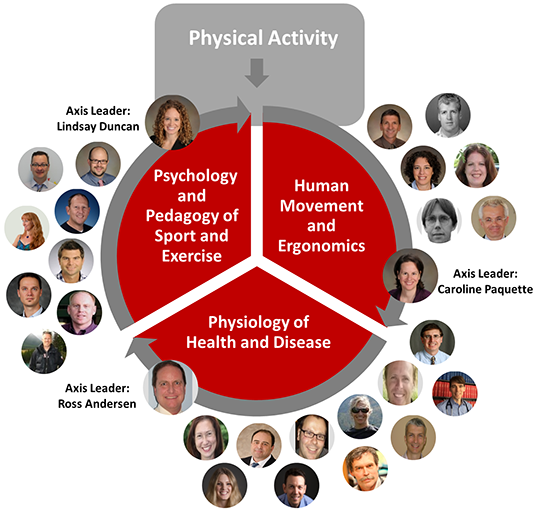 The PATH membership encompasses a breadth of disciplines with 13 primary members from the Department of Kinesiology and Physical Education with research programs in sport psychology, exercise and health psychology, health behaviour change, adapted physical activity, physical education, pulmonary and respiratory physiology, muscle physiology, exercise physiology, ergonomics, motor control, biomechanics, and neurorehabilitation. PATH collaborates with 7 associate members within all three research axes spanning the Departments of Medicine, Emergency Medicine, Oncology, Psychology, the School of Physical and Occupational Therapy, the Research Institute of the McGill University Health Centre, and the School of Dietetics and Human Nutrition. Last, external collaborations exist between PATH and 4 external members representing the Toronto Rehabilitation Institute- University Health Network, the Children’s Hospital Research Institute of Manitoba, and the Department of Physical Therapy at the University of Florida.